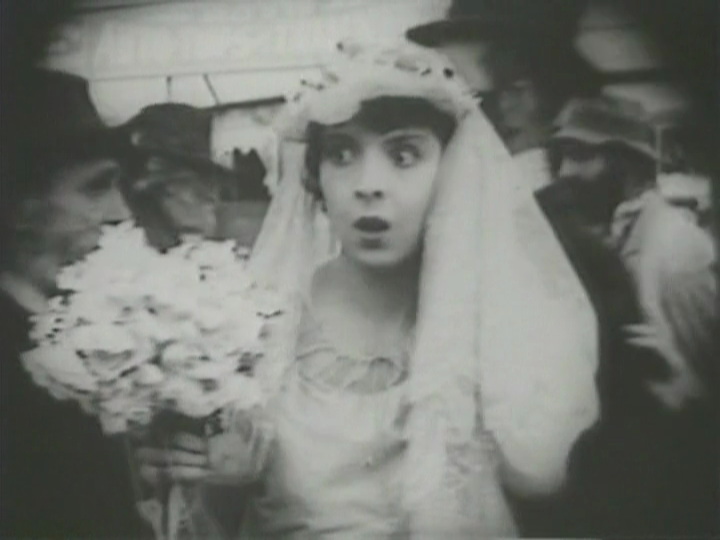 The 1920 Al Christie production HER BRIDAL NIGHT-MARE is a nifty little short starring Colleen Moore. 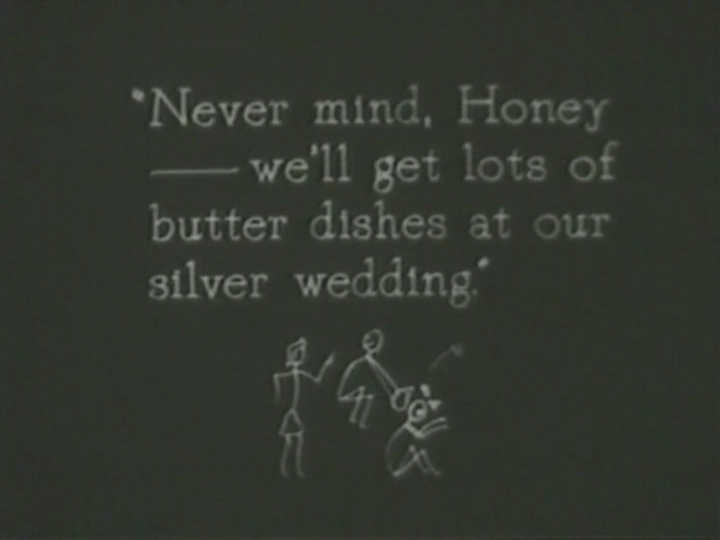 Her marriage is delayed when her fiance’s bitter rival contrives to get the groom arrested and has Dopey Dan, a hired assassin, steal the wedding presents (a little out of his line, but he’s a flexible fellow). Believing she’s been both jilted and robbed, Colleen resolves to incontinently drown herself, but can’t muster the gusto, so, on meeting Dopey Dan, she borrows a leaf from Jules Verne’s Tribulations of a Chinese Man in China and hires him to bump her off. A master of disguise, Dan promises to jump out in a false beard when she’s not expecting it. Of course, Colleen soon finds reason to live, and is jumping in terror whenever she sees a set of whiskers. Moore had not yet hit the heights at this point — her filmography shows her darting about, playing straight romantic interest roles (to Tom Mix, for instance) or whatever came along. Comedy was just one more way of earning a living. But the charm and skill are already in evidence. She gets to drag up. One surprise: though in early scenes her hair is apparently tucked up into headgear, allowing it to frame her face like the trademark bob we associate with her “mature work,” when she whips off her derby to reveal her true feminine identity, a great black mane tumbles forth. Colleen Moore with that much hair doesn’t seem quite right. Perhaps it was her new-found fear of beards that convinced her to shear it?